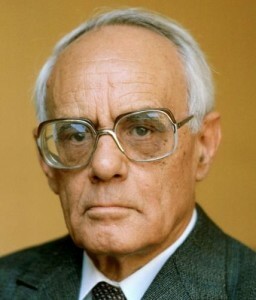 The Karl Rahner Society was founded in 1991 by American scholars to promote the study of Rahner, the publication of scholarly editions of his works in English, and critical reflections on his thought. The Society aims to carry forward his theological and philosophical spirit, and to collaborate with other scholarly groups concerned with his work. Its goal is to contribute to the ongoing reception and assessment of Rahner’s legacy in Church and society. Rahner (1904-1984) was a German Jesuit who made a profound contribution to Catholic theology in the twentieth century. His role as a theological expert at the Second Vatican Council, his 1651 publications (4744 counting reprints and translations), his involvement in international theological debate, his impact on students who attended his classes, and his positive reception by Protestant as well as Catholic thinkers, all contributed to his influence on theology today.